I am a retired Chemistry teacher (32 yrs. 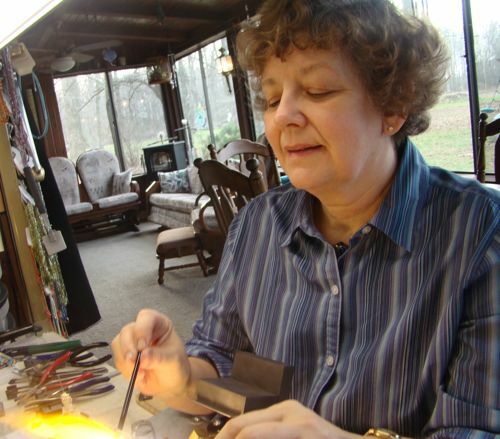 of teaching) and discovered lampworking back in 2004 as a result of a Lilly Teacher creativity grant. 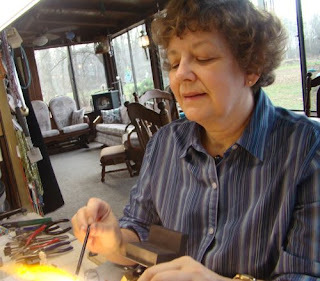 Retirement has given me the luxury of time to explore this wonderful glass medium and the Lilly grant gave me the initial where-with-all to find my niche in the glass world. We live a few miles outside of the lovely little town of Pendleton, Indiana where much of the town is on the historic register and Fall Creek goes over its falls in the town park. It's small enough to get to know people and close enough to Indianapolis to give access to lots of activities.